Some of my earliest memories are from my hometown of St Catharines, Ontario, driving through the area with my grandfather visiting fruit and dairy farms. Many of these legacy farms are gone, or if not, their barns have been replaced by modern equivalents. I feel it’s important to capture these legacy buildings before they are lost forever. Location: this barn is located on Leslie St north of Green Lane just south of the Sharon Temple, a National Historic Site. 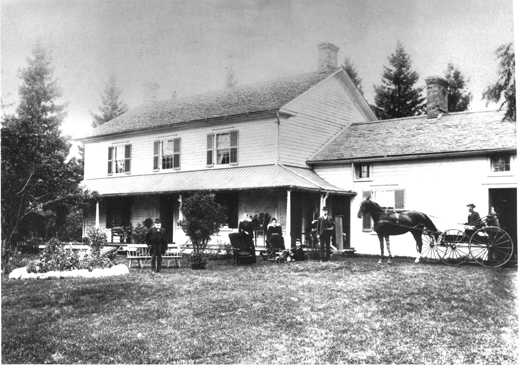 The farm was owned by Judah Lundy, a prosperous Children of Peace member. We’ve passed it many times on the drive from Toronto back up to Barrie. Photo from the Ontario Ministry of Government and Consumer Servies. Walnut Farm home of Judah Lundy and his family, a prosperous Children of Peace member.